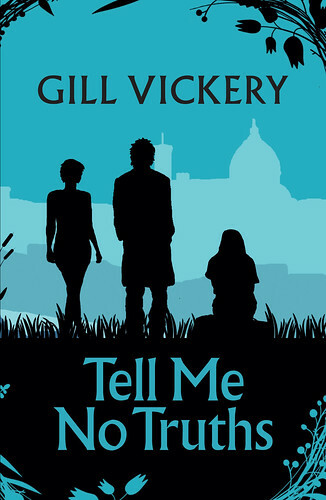 I loved Gill Vickery’s Tell Me No Truths! Similar to Mal Peet’s Tamar it deals with what happened in Florence during WWII, and we meet three British teenagers who have come to Italy looking for answers to questions they have. Twins Jade and Amber had an Italian grandfather, and they want to discover what the place he felt he could never return to is like. They speak Italian, as does their mother. Teen artist Nico is on holiday away from his boarding school, with his mum and her latest boyfriend. Nico and his mum are big fans of a crime writer who lives in the area and they want to discover more about this elusive man. Interspersed with today’s activities, we read a sort of diary from the war, about dramatic things that happened, but we don’t quite know who is doing the telling. But it’s easy to see it has a bearing on what all three teenagers are searching for. There is romance in the air, as well, and now is a time for families to learn to accept the past and to start again. There are too few novels about the war from inside another country, like Italy. We don’t know enough, and we need to learn more, as do Nico, Jade and Amber. Great blend of art, crime and food, against the backdrop of WWII and Florence as it is today. Did you work it out? What did last week’s random posts have in common? That’s right. It was Wien, although not perhaps Wien, du Stadt meiner Träume. It was more Daughter’s Träume to spend her birthday in Vienna. So we did. She flew in, while I revisited my youth and Interrailed. Much as I love trains, I’m not sure I recommend such a lot of train travel in one go. It takes a long time to get to Vienna. On the eve of my departure I realised that three books wouldn’t be enough, so added a fourth. Jolly lucky I did! The Resident IT Consultant had looked up how to get to the hotel. ‘Easy,’ he said. Underground to Schwedenplatz and then a short walk from there. He reckoned I could memorise that. The hotel was where Daughter stayed last year and loved it so much that nothing else would do. She was right. I’d go back in a heartbeat. Although, not necessarily by rail. Advised by Keith Gray who moved to Vienna last year, we went for birthday tea in a lovely café. I got up to inspect the cake counter to see what I’d like. ‘Was ist das?’ I asked and pointed. The nice young man told me, and it proved easier than expected to remember. Schwedenschnitte. It was very good. The next day was Austria’s national day, which could be why we had tickets for a rather Straussy morning concert at the Musikverein. 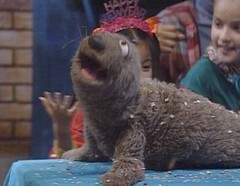 Luckily it was everything Daughter wanted it to be, except possibly New Year’s Day. During our remaining time in this beautiful city we squeezed in a few more cafés, purely in the name of research. Obviously. I even tried a piece of Gugelhupf, inspired by Tim in Airs Above the Ground. Books are dangerous. And then Daughter got on her plane home, and I found my sleeper train. By the time I got to Köln I discovered that German German is so much easier than its Austrian sibling. I also found there is such a thing as a delayed German train, but I still managed to travel all the way home, a steady four hours ahead of Son who was ‘following’ me through that bit of Europe. Finished my third book on Eurostar, starting on the fourth as I left King’s Cross. *There is no way of escaping a witch. No matter where you move, she’ll come for her Schwedenschnitte. And you. Oh wow! 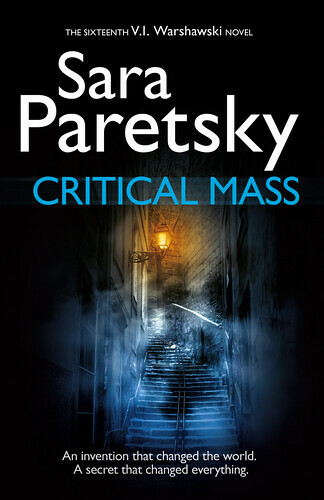 Sara Paretsky always gets to me, but in Critical Mass she has got closer than ever. We at Bookwitch Towers might not rub shoulders with Chicago’s worst, but in all other respects this latest V I Warshawski novel touches on all sorts of things. Physics, autism, Caltech, Europe, WWII, the King of Sweden. All that. 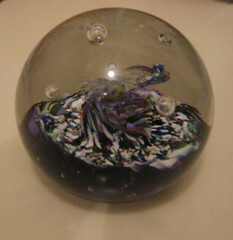 As always Sara has written a story which is more than a crime novel with a puzzle. Critical Mass is also a – very severe – comment on all that’s wrong in the world today. It might be Homeland Security in this instance, but every country has something a bit like it. And we don’t like it, much. You can’t keep under their radar, unless you are very clever and at least two steps ahead of HS at all times. In fiction I tend not to be too scared of the baddies, unless they are the ones with almost every right to misbehave, like these federal agents. 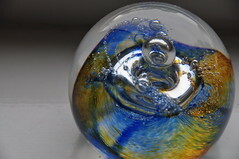 In her normal fashion V I ends up far deeper than she ever intended, but she needs to find Martin who, like his great grandmother Martina, is a physics genius. There is an old mystery behind all that happens, but it’s not quite clear what. Between the nazis in the war and the wealthy businessmen of today there is much that is wrong. We don’t see a lot of Martina, who of necessity has to be dead. But what we see has to be admired, despite her lack of social skills. And V I should always have our admiration, along with Sara who entertains while making a statement. 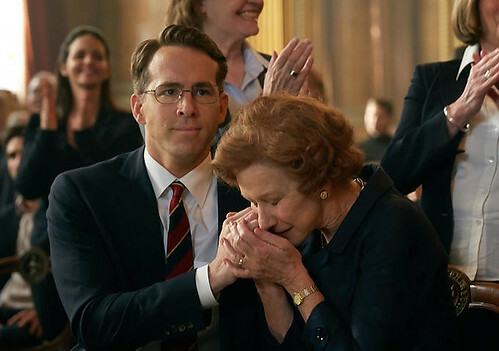 What surprised me the most about Woman in Gold was how much it was about the war. That might sound stupid, but I’d mainly thought about the process of getting a stolen work of art back now, long after the war. And the trailer had been mostly lighthearted, with clever and amusing lines. Don’t misunderstand me; I believe the film was better for all its background, reminding us – and in the case of Daughter, showing for the first time – of what went on in Austria not only during the war, but before it as well. Without it, Maria Altmann could have seemed to be simply greedy and grabbing. In a way this was one of those occasions when you feel that both sides are both right and wrong. Were it not for the fact that Austria took away Maria’s right to the life she was living, when they pulled the rug out from under her feet. As I think she said, it wasn’t so much getting the painting of her aunt back, as getting some recompense for what they did to her family, breaking it up, and killing most of them. I had looked forward to seeing more of Vienna, but in the end it was almost painful. I appreciated seeing the old Vienna, as Maria knew it when she grew up. I’m not Austrian, nor quite that old, but I could recognise some of the life she lived. Had not realised that Daughter didn’t know what the outcome was going to be, but then it had been some years since we read about Maria and her Klimt painting in the news. 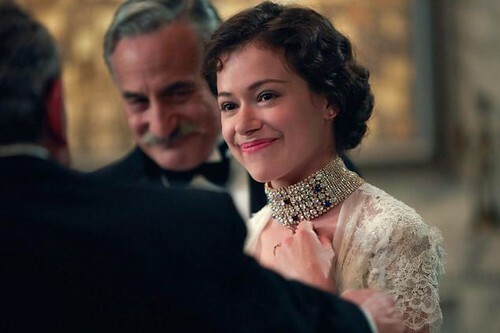 I enjoyed Woman in Gold, and more so for it being so European, and not just Hollywood gloss. Helen Mirren can do anything she puts her mind to, and Ryan Reynolds was a lovely Randol Schoenberg. Good to see so many actors employed who are not necessarily English language household names, but who were able to portray Austrians in a believable way. 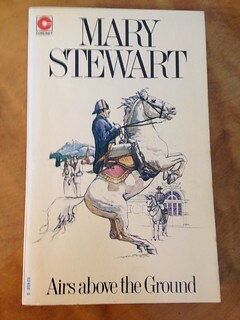 Like The Star of Kazan, Mary Stewart’s Airs Above the Ground features a stolen Lipizzaner and some fake jewels, plus romance and adventure galore, all set in Austria. Well over forty years since I last read it, I discovered – again – that returning to a book often improves it. I remembered some things very clearly, and was delighted to find others that I really enjoyed. Almost newly-wed Vanessa flies out to Vienna, ostensibly chaperoning 17-year-old Tim, who is crazy about horses, and the Spanish riding school especially. Both of them are travelling under false pretences. Now that I’m much older than Vanessa (I wasn’t the first time), I can see that she is unreasonably mature at 24. But I like her, and I adore young Tim, who like Mary’s other ‘young men’ is truly lovely. And as for the horse… well, not a dry eye left. I wonder if Eva Ibbotson had read Airs Above the Ground? Or if great minds simply think alike? The final chapters in both books are so similar, in the most satisfying of ways. I re-read this after 14 years. I loved it then, but loved it more this time. Which just goes to show that returning to a good book is usually the right thing to do. 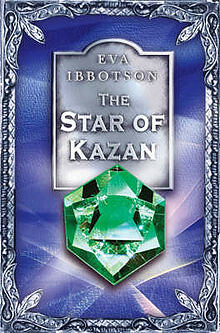 The Star of Kazan reads like Eva Ibbotson’s love letter to Vienna. I knew it had all the loveliness you always get in an Ibbotson novel, but I’d forgotten both the romance and all that humour. And I remember I thought it was less about Vienna than I’d expected. 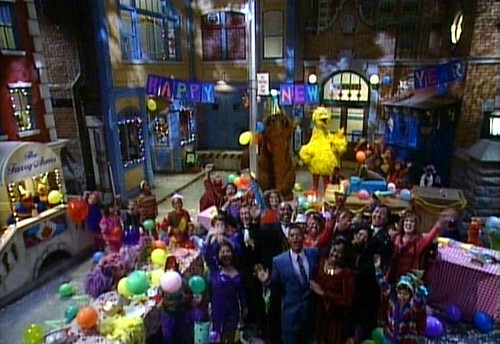 Now I see how much of the city there is in the story, even when the main character, Annika, is not there. Set in Vienna before WWI, it is lovely, peaceful and sounds just perfect. Annika is a foundling, growing up with two servants and their three professor employers. She works hard, is friendly to everyone, and has two very good friends nearby. That’s when her ‘real’ mother turns up and takes her away. Living in darkest North Germany, it is rather Jane Eyre-ish. There is an awful half-brother, a cousin, and a ‘gypsy’ boy with a gorgeous horse and a three-legged dog. Once the necessary bad stuff has happened, this book will give you all that you need and had hoped for. Possibly more.